YP's is a dynamic bimonthly devotional for 11-15-year-olds. Each issue is packed with cool graphics, special features and suggestions on how to get involved, plus daily Bible readings and commentary for 60 days. 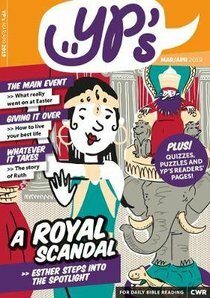 About "EDWJ: Yp's 2019 #02: Mar-Apr (Ages 11-14)"